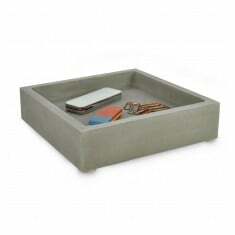 Our bespoke Concrete Items offer an industrial, raw finish and look amazing! We have a wide range of items, all cast to order with your design, including: desk trays, pen holders and concrete awards. All of the items are made to order in Germany and offer a high quality, heavy weight product that will look the part on any desk! 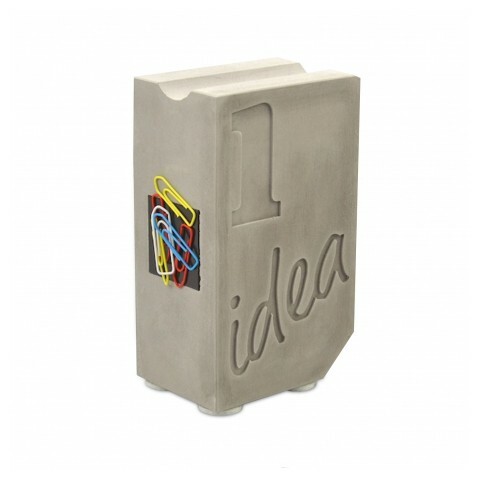 Personalised concrete items can be a great feature piece for your desk and are ideal for a talking point for customers alongside making a useful design. Our customised concrete items can be cast to make any design and are all made from scratch for your order, so you can make this item as creative as you like! 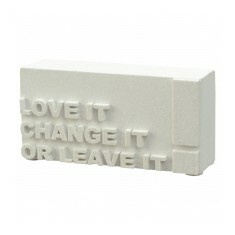 Set your company motto in stone, literally. Our personalised Sandstone Desk Block is made with your design moulded into it for a permanent desk item that is sure to catch the eye of any passers-by. The four felt feet on the bottom stop it from scratching your desk and it is most certainly one of the most interesting desk items in our entire range! Got question with regards to making your design work? Give our sales team a call and we will be more than happy to help you out.